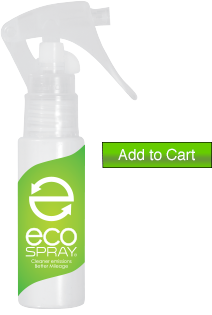 A single application of eco-SPRAY® can increase gas mileage, reduce emissions, and increase power. Independent testing, performed by an EPA listed vehicle emissions testing laboratory, in accordance with CFR Title 40 test procedures, confirmed eco-SPRAY reduces emissions and improves gas mileage with the application of eco-SPRAY. These results were duplicated by the Japanese Automobile Transport Technology Association (JATTA), the non-profit official testing authority, and in additional independent testing conducted around the world. The primary reduced emissions test results came from an EPA listed independent vehicle emissions testing laboratory in the US as part of an application for a California Air Review Board application, and from the Japanese Automobile Transport Technology Association (JATTA). This reduced emissions and test data has subsequently been confirmed by independent testing in several other countries. • 30.4% reduction in CO emissions – Carbon monoxide (CO) is an unwanted byproduct of incomplete combustion of carbon fuels. CO is toxic to humans and most other life forms. It reduces the blood’s ability to carry oxygen. The EPA estimates that in urban areas, as much as 95% of all CO emissions come from automobile exhaust.A NASA Science Brief on Carbon Monoxide indicates that CO can persist in the atmosphere for about a month and can be transported over long distances. CO elevates the amount of methane in the atmosphere and then oxidizes into Carbon Dioxide (CO2) which is the primary cause of increasing temperatures on earth. • 23.3% reduction in HC emissions – Hydrocarbon emissions are toxic and also result from incomplete combustion. Prolonged exposure to hydrocarbons contributes to asthma, liver disease, lung disease, and cancer. In our atmosphere, hydrocarbons react to nitrogen oxides and sunlight to form ground-level ozone, a major component of smog. Ground-level ozone irritates the eyes, damages the lungs, and aggravates existing respiratory problems. It is among the most widespread pollution elements in major metropolitan areas. • 15.1% reduction in NOx emissions – Under the high temperature and pressure conditions during combustion, nitrogen and oxygen can combine to form various nitrogen oxides (NO, N2O, and NO2). Nitrogen oxides can destroy the body’s resistance to respiratory infections. Like hydrocarbons, Nitrogen oxides can contribute to the formation of ground-level ozone. Nitrous oxides also contribute to the formation of acid rain. 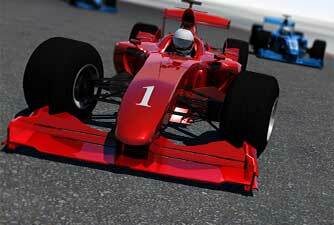 To evaluate increased engine power, we went to the experts. 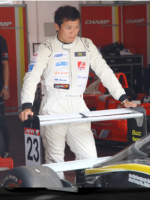 The Buzz Racing team races in the Asian Formula Renault Series, a Formula 2.0 championship. The cars use Tatuus chassis and the 2.0 L Renault Clio engines as do other Formula Renault 2.0 series.